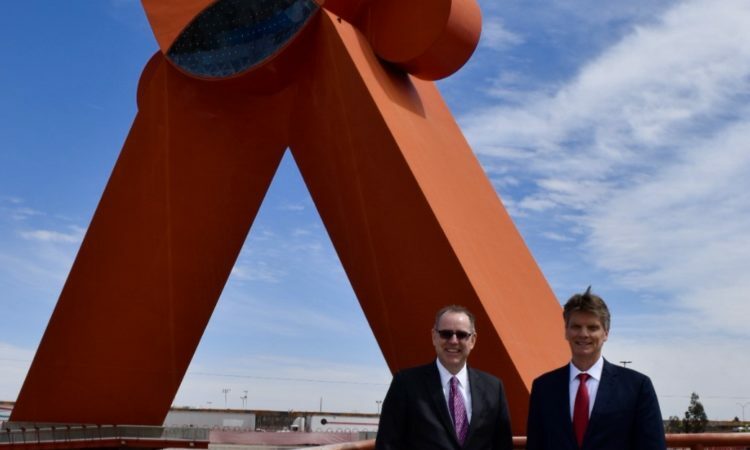 John Tavenner became the Consul General in Ciudad Juarez in September 2018. He is a member of the Senior Foreign Service with the rank of Minister Counselor. He was previously the Minister Counselor for Consular Affairs at the U.S. Embassy in Rome, Italy. Prior to Rome he was the Consul General in Hermosillo. Mr. Tavenner joined the U.S. Foreign Service in 1992 and served his first tour in the consular section at the U.S. Embassy in Mexico City. He has also served as the Deputy Consul General/Visa Chief in Bogota, Regional Consular Officer in Frankfurt, and Non-Immigrant Visa Chief and American Citizen Services Chief in Guadalajara. He has also done tours in Athens, Tegucigalpa, and the Bureau of Consular Affairs in Washington DC. Mr. Tavenner has a Master’s Degree in International Management from the American Graduate School of International Management (Thunderbird) in Glendale, Arizona, and undergraduate and law degrees from Texas Tech University. He practiced law in El Paso, Texas prior to his entry into the Foreign Service. His wife is an Italian citizen, and he has two adult children.